More campaign and lobbyist money was spent in 2012 than in any other election year in American history. Whether it was the estimated 3 billion dollars spent on the presidential race, or the 90 million dollars spend on expanding Maryland’s gambling laws, this Election Day will not soon be forgotten. And for those who have been fighting the decades long battle to legalize marijuana, this Election Day may go down in history as the vote that started it all. 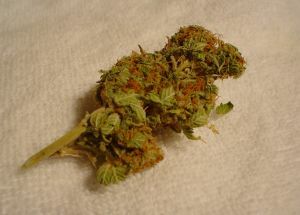 Two states, Colorado and Washington have passed laws that will effectively legalize the recreational use of marijuana. The Colorado law makes it legal for adults over the age of 21 to possess up to an ounce of pot, and authorizes homeowners to have up to 6 plants for the purposes of cultivating the drug. The Washington law also authorizes carrying up to an ounce, but requires that users buy their stash from state licensed distributors rather than growing it at home. Both states make still maintain that it is illegal to drive while under the influence of the drug, with Washington establishing a blood THC limit. Smoking marijuana in public will still be illegal and violators are subject to citation and fines similar to a public consumption of alcohol violation. Supporters of the propositions, which will turn into law within the next few months, were out in force celebrating the victory. Meanwhile, the opposition was left questioning the law’s supposed benefits as well as the complications that will accompany implication of the state laws. The most glaring complication is the fact that marijuana still remains illegal and classified as a schedule 1 controlled substance under federal law. The United States Justice Department has yet to assert a definitive stance on the new laws except to say that the drug is still illegal in their eyes. It could be days or even weeks before the fed chimes in on how they are going to respond to marijuana being legal. The Justice Department clearly has bigger fish to fry, and their already questionable leadership may experience a huge shakeup if controversial Attorney General Eric Holder decides to step down. Holder recently went on record that the Fed is committed to aggressively enforcing marijuana laws, but Colorado and Washington haven’t noticed. Based on their recent treatment of Colorado’s medical marijuana law though, it does not seem likely that DEA agents will suddenly start appearing in the state to bust smokers and shop owners. There are also questions on how the two states will implicate the new laws, but you could sum up the plans in two words, regulate and tax. The groundbreaking laws will likely force other states such as Maryland to take notice of how the state policies in Colorado and Washington play out. Legalization supporters maintain that the laws will generate millions or even billions of tax revenue, while at the same time saving money for the court system and the law enforcement system. Courts will no longer be clogged with possession of marijuana cases, and cops may or may not spend this extra time looking for real criminals. It will likely be a few more years before other states join in, as there is still quite a bit of opposition to marijuana legalization. An Oregon proposition for legalization failed in Tuesday’s election. But the 48 other states will begin to see the advantages of legalizing pot, and eventually the fed will react to the will of the people by modifying their laws as well. It could take another decade, but the foundation has certainly been laid for marijuana to be legal throughout the country. Benjamin Herbst is a Maryland marijuana lawyer specializing in possession, manufacture, and possession with intent to deliver. Contact Benjamin at The Herbst Firm for a free consultation.